Did you see that? I added "miscut" to the potential trade. You have a miscut and I want it. Now, I DARE you people to ignore this offering. Yup. 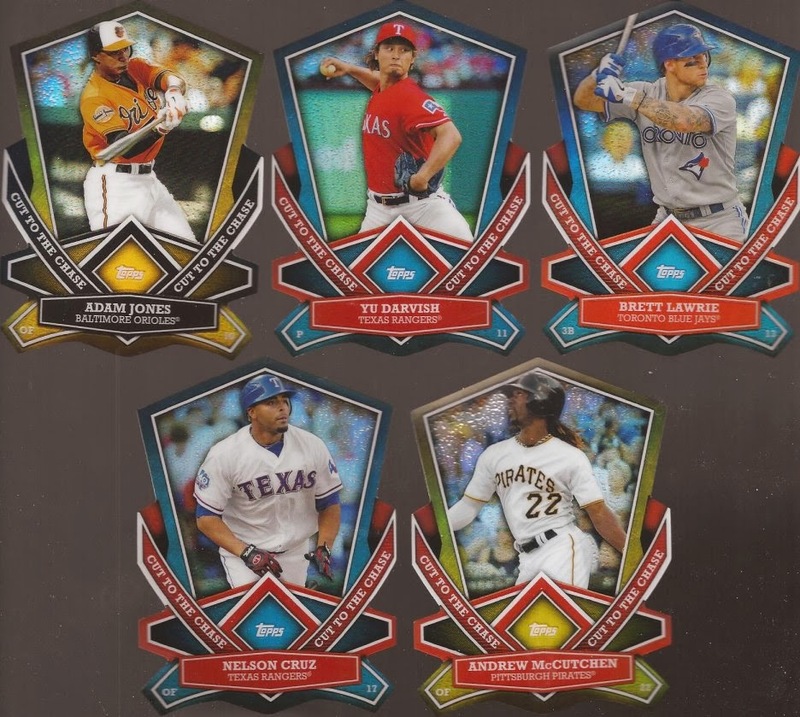 That is five of the Cut to the Chase die cuts from 2013 packs. None fit my collection, so make them fit yours. For the love of all that is right and special in this world, MAKE THEM YOURS! New video. Cuz I don't quit. I'll take them if no one else will. I'm gone until the weekend, but I'll get something headed your way.